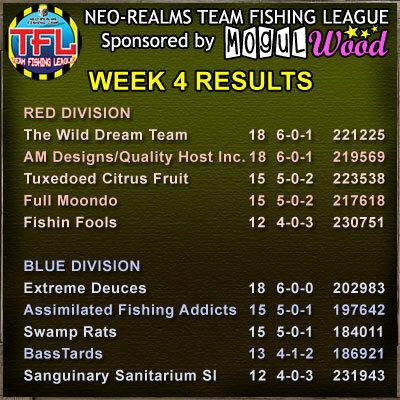 After Week 4, the Wild Dream Team rise to the top of Red Division, with AM Designs/Quality Host on their tail. 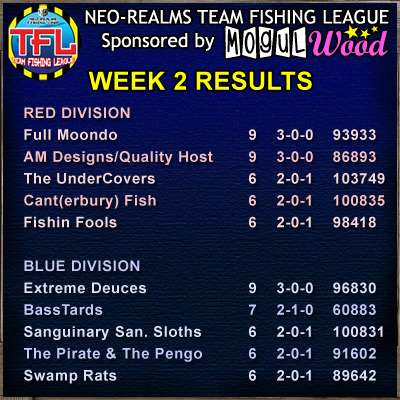 In the Blue Division, Extreme Deuces continue their undefeated run, with Assimilated Fishing Addicts and Swamp Rats close behind. 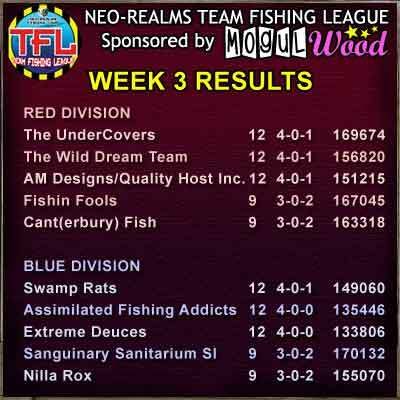 At the end of week 3 it's the Swamp Rats who narrowly lead Blue Division on total points, with Assimilated Fishing Addicts and Extreme Deuces sharing the number of wins, but with a game in hand. 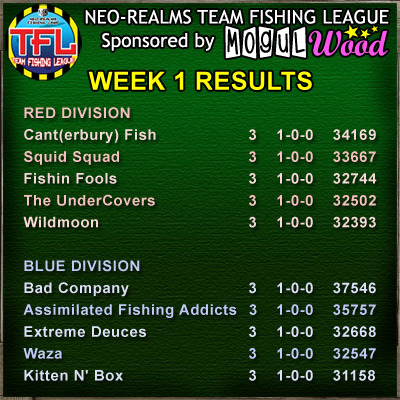 In the red division, it's The UnderCovers with a slight total points lead, followed by The Wild Dream Team and AM Designs/Quality Host Inc. Good luck to all teams this week! Week two is over! After three matches played, only Full Moondo and AM Designs/Quality Host in the Red Division, and Extreme Deuces in the Blue division remain undefeated in the top 5! Good luck to all teams in the coming week! If your logo isn't showing up correctly on the website, please let Sweegy Manilow or Shannah Halberd know. Thanks!